We reviewed “Super Lemon” a few years back, and until a few weeks ago, I thought that was that. Turns out, there’s a new Super in the family. I paid WAY too much for these at a local Ranch 99 – an indoor mall of Asian stores and restaurants. Fun place, but the candy store there aint cheap. ….Aaaaaaaaaaaaaaaaaand I forgot to photograph the candy itself. Thankfully, that’s not a huge deal: they’re round, slightly dusted hard candies. What IS a big deal is that these blew me away. 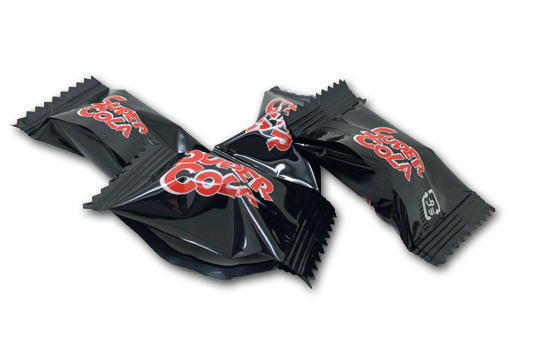 I’ve had lots of cola candy in my day, but not a ton of sour cola candy. Or rather, super sour candy. These are intense. 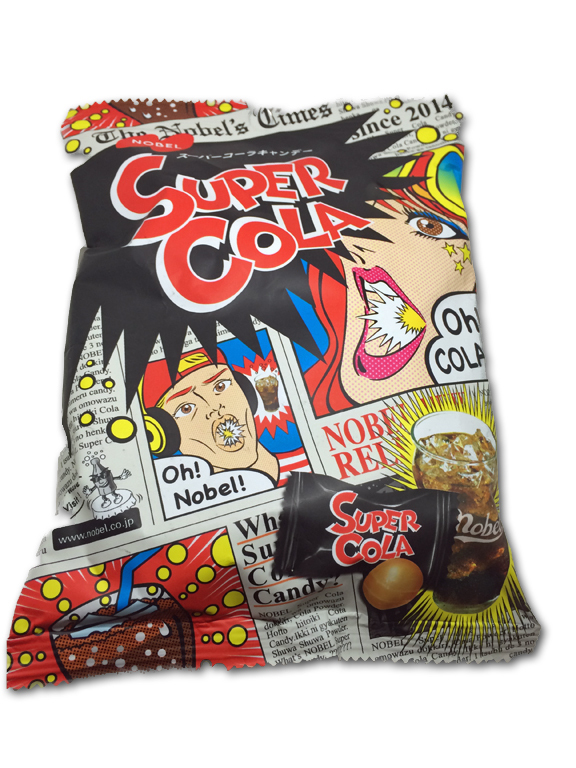 You start out with Warheads-level sour on the outside of the candy, which gently gives way to the intense classic Asian cola flavor-one of my favorites. The sour lingers all the way through, although it wears down in a consistent way, till al you’re left with is a delicious slightly tart cola hard candy. I adore these. And now I know why I paid so much- they’re really not available here in the US. However, you can certainly find them on Ebay (link below), which I recommend doing. In fact, I think I’m doing it too. Right. Now. Eaten. Likened. Boughting. Eaten more. Available at World Market. Right now. For maximum face-shoving ability. Bought from World Market. First taste is sour to the extreme of sour, but I will buy again. I’m posting this on 8/28/17, so I don’t know if this is a new thing or not, but, there’s definitely some kind of sour fizzy powder *inside* the cola hard candy, in addition to that incredibly sour dusting on the outside. The interior fizz kicks in a few seconds after you’ve sucked the sour off of the candy, and you’re mostly tasting that (great!) cola flavor. It feels like it’s fizzing out of a tiny hole in the candy itself. I love these things. SO sour, SO yummy, SO addictive! It didn’t fit in my pee hole but still tasted good!